For those who need a reminder of the past. The main idea of this game is to build all the levels in your Death Star. 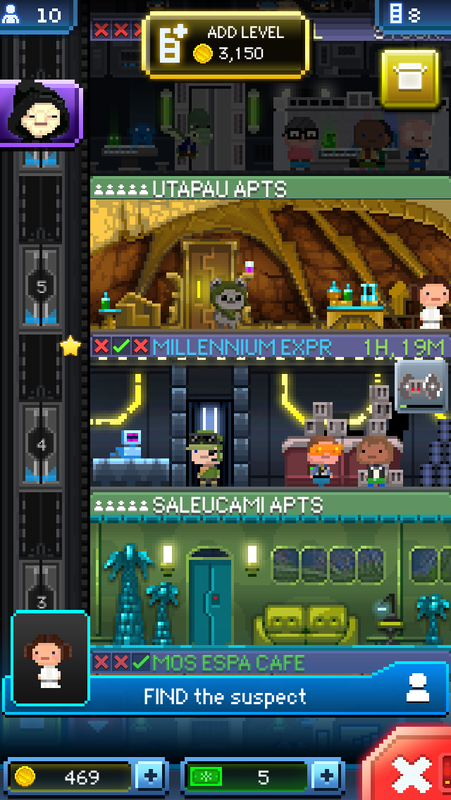 You are provided with an elevator to help with the building process and transporting “bitizens” – the people who hire/roam/customers the death star – or VIPs to each level. Gaining Imperial coins and Imperial Bucks (which will be a rarity) will help you build more levels and gain access to more money and “bitizens”. Imperial coins are the main source of spending for building levels. Imperial Bucks helps speed the process of obtaining levels and products to sell for your levels quickly, but they should be mainly spent on secret characters or gaining faster elevators that increase the speed and amount of “tip” you get from the bitizens that arrive in it. You will need to save a lot of Imperial Bucks to obtain the fastest elevator. Star Wars is a franchise many love and hold dear to their hearts (well… at least the original trilogies). After watching Star Wars on VHS (yes, I am pretty old), then watching the re-released specials in the theaters, I always wanted to be apart of the best thing about Star Wars, the space battles. Now, many probably like the idea of using the lightsaber more, but seriously…it’s just a light up sword. The space battles amazed me, like how the opening sequence of Saving Private Ryan amazed me. There was just chaos, but it wasn’t just any chaos, it was beautiful. I wanted to be immersed in that chaos and that is what Factor 5 (the developers) allowed me to do. Star Wars: Rogue Squadron was released on December 7, 1998 on the Nintendo 64 and brought the world one of THE best Star Wars games, ever. 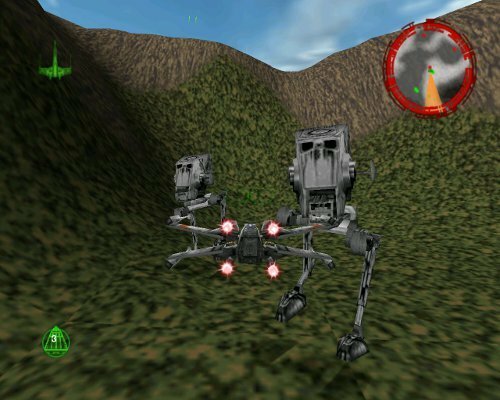 Ewoks are better at taking the AT-ST’s out. Follow me and gain some knowledge for free.